Although the Nest Cam Indoor camera is primarily built for home security, it also has features that enhance family life. This is made possible by its two-way intercom, which allows you to interact with whoever the camera is recording. For example, you could place it in your living room to continue interacting with your kids while you’re away on business. It’s also great for households with pets! If you tune in to the live stream to find the dog on the couch again, you can easily use the microphone to tell him or her to get back off. Magnetic stand: The Nest surveillance camera has a magnetic pedestal, meaning you can attach it anywhere in your home. Technical prowess: Equipped with a Full HD Sensor, the Nest Cam Indoor records in 1080p with zoom in capability, meaning you won’t miss a single detail. Its 130-degree wide angle lens means it captures the entirety of the room, 24 hours a day, thanks to its infrared night vision sensors. Intercom system: Now you can communicate with family members on the go, as well as personally ward off any unexpected visitors to your home. Smart home technology: The Nest App knows when you’ve left the home, simulating your presence (when connected with third party technology such as the Phillips Hue Lights). Keeps you informed: Activate smartphone notifications, so that you can stay in the know about everything that’s happened while you’ve been out. Nest Aware: You’ll be invited to a 30 day free trial for the Nest Aware package, which includes additional services such as face recognition, video playback up until 30 days, the ability to create alarm zones as well being able to make short clips and time lapses. Due to its slim and compact shape, the Nest Cam Indoor is barely noticeable, which is perhaps its greatest strength (it almost resembles a regular webcam) The device is powered over the mains via Micro USB adapter and in order to ensure that no footage goes missing, all data is transferred directly to the cloud. There won't be any escape for any criminals who enter your home, even if they take the camera with them. You can view footage from the last three hours either on the mobile or the web App, with any unusual activity also being sent via email. If you choose to subscribe to the fairly priced Nest Aware service, you can view video playback from the last ten or thirty days. 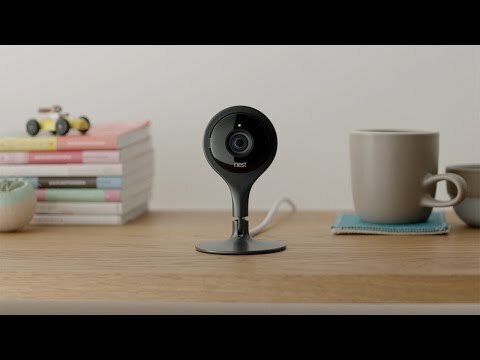 The Nest Cam Indoor operates using a mixture of both movement and noise detection. As soon as the system has detected an unusual movement or noise, the app warns all users in real time. You can then view the live stream, to get an idea of what’s happening. The system even allows you to control your pets remotely, with a serious of voice commands specifically tailored for such use. The Full HD Camera, thought out exclusively for indoor use, records through its 130 degree wide angle lens the lion’s share of any room that it’s in. For added security, it can be combined with products such as the Phillips Hue. Once the Nest App recognizes (via location services) that nobody is at home, the above mentioned light products will simulate your presence. The 1080p Nest Cam Indoor impresses with range of possibilities for use, with even more great functionality being possible through the subscription based Nest Aware service. One great feature of Nest Aware is the ability for the camera to recognise both voices and faces, sending you messages when it sees people who you know. The ability to create alarm zones means you can create special areas around your home, for example directly inside the front door, or beside your child’s bed. You’ll then get a special notifications should it detect activity in one of these areas. Want to share a clip or time lapse of your home with family and friends? Nest Aware makes this possible, meaning you can share your family life with everyone. If you want to make your house even smarter, the Nest Cam IQ, Nest Cam Outdoor or the Nest Protect (a smart smoke and carbon monoxide detector) are worth a look. The Nest Cam Indoor is ready to go in a matter of minutes. Connect it to the mains and add it your WiFi network using the installation assistant found in the app. Records in up to 1080p quality, 130 degree viewing field, eight infrared sensors for detailed night vision. Sound during playback can sometimes be hard to hear. 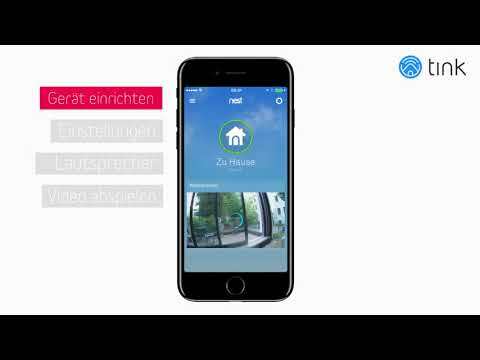 The app has all the basic functions you need, the Nest Aware subscription really unleashing its full capability with its access to features such as creating alarm zones, face recognition, 30 day playback, clips and time lapses. The camera delivers movement detection, night vision and Full HD Video with a wide angle view. Users without a Nest Aware subscription can view the last three hours of video playback, receive notifications and can use the intercom. Our tests detected no problems with data transfer. The camera automatically records in 720p, you can increase this to 1080p, or reduce it to 360p to adapt it to your internet speed. Lightweight, compact and unintrusive, with the black exterior being a smart choice. You can manually control the camera, with the magnetic stand even letting you film from a top down perspective. Sends compressed and encrypted data to the cloud, the cloud servers being located in the U.S. and Ireland and thus subject to law there. You’ll miss a few neat features without a subscription, but these are at least partially available for free. The Nest Cam Indoor is on the basis of its Full HD video playback alone worth the purchase. What devices is the Nest Cam Indoor compatible with? The Nest Cam Indoor is compatible with all other Nest cameras. Besides this, it can also be connected with the Phillips Hue, Osram LIGHTIFY, and Smart Garden Hubs, as well as the IFTTT App. I’m not getting email notifications. What’s causing this? Check and make sure that email notifications are activated in the app, and that notifications aren’t being blocked by your smartphone’s settings. The emails may also be landing in your spam folder. How can I clean the camera lens? To clean the lens, it is best to use a soft lint-free cloth. It’s recommended to use either a camera lens cloth or a cloth for reading glasses.